Unless you’re the Baltimore Orioles, who, at press time were 55 games under .500 and may well set an AL futility record before the campaign is over, lost seasons have their charm: regulars giving way to prospects, survival-mode veterans catching lightning-in-a-bottle and trade throw-ins proving to be beyond the stats on the back of their baseball card. 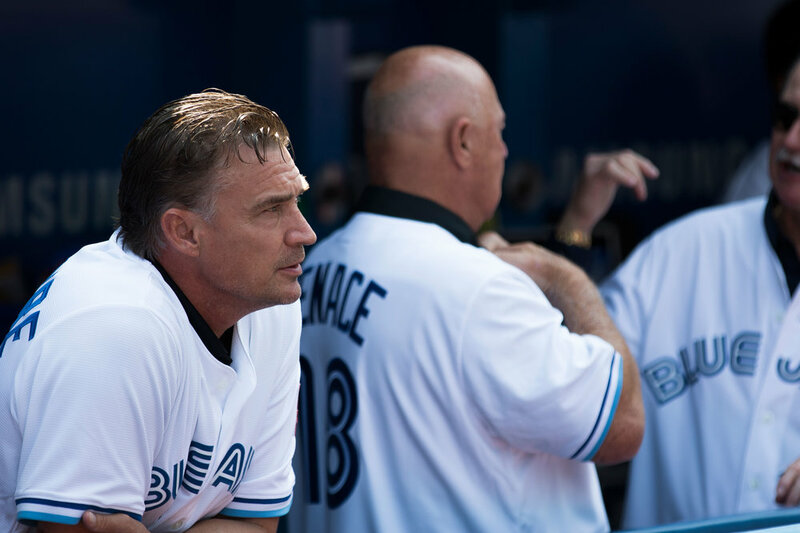 For the 2018 Blue Jays, August was a splash of paint on an otherwise grey journey, bad giving way to good, regret giving way to promise, and losses giving way to something that looked like hope if you stared long enough. While everyone waited to see if Vladimir Guerrero Junior would get burped from the minors to the big league team, he was preceeded by catcher Danny “Not Casey” Jansen, who looked confident in his turtle shell and was thrust, rather brusquely, into the regular lineup by the skipper Gibbons; lefthander Thomas Pannone threw seven no-hit innings in his first big league start in front of 40, 000 fans; and the longest-tenured farm system product, pitcher Ryan Borucki – who may well be the Jays’ Mitch Marner, impossibly young-looking and sublimely gifted – showed a quiver of effective pitches and a cold-as-ice style. 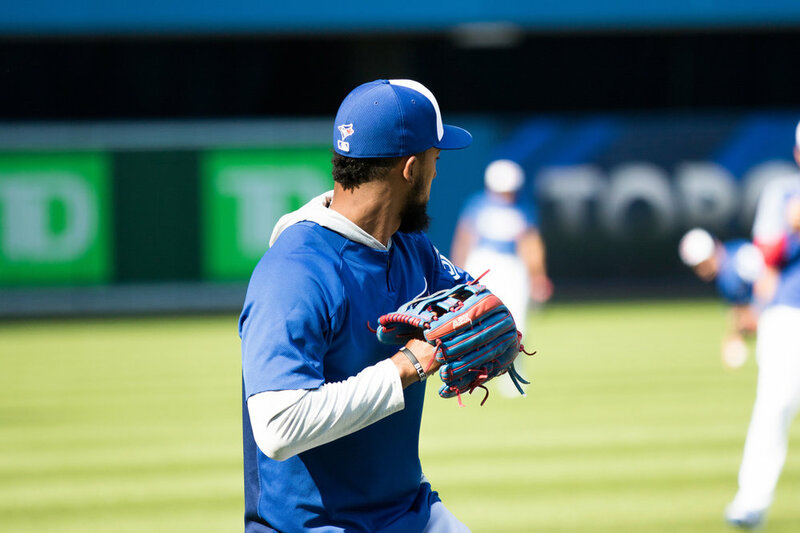 The swept-haired Lourdes Gurriel went on a wild batting tear, clubbing together a string of multiple-hit games before he was felled by injury, and Billy McKinney – the Jays’ Auston Matthews-all-American down to his “aw, shucks” – evoked Reed Johnson and Shannon Stewart and Junior Felix and every other promising young outfielder who’d previously burst on the scene with slugging aplomb. I saw Junior Felix’s first ever Jays at-bat at Exhibition Stadium, which was also his first ever home run. Through his home whites, you could see the crest of his T-shirt – it said JUST DO IT – and we thought, “Man, what a cool slogan!”, not knowing that it was a Nike thing, because, once upon a time, there was a world where nobody knew what Nike was. 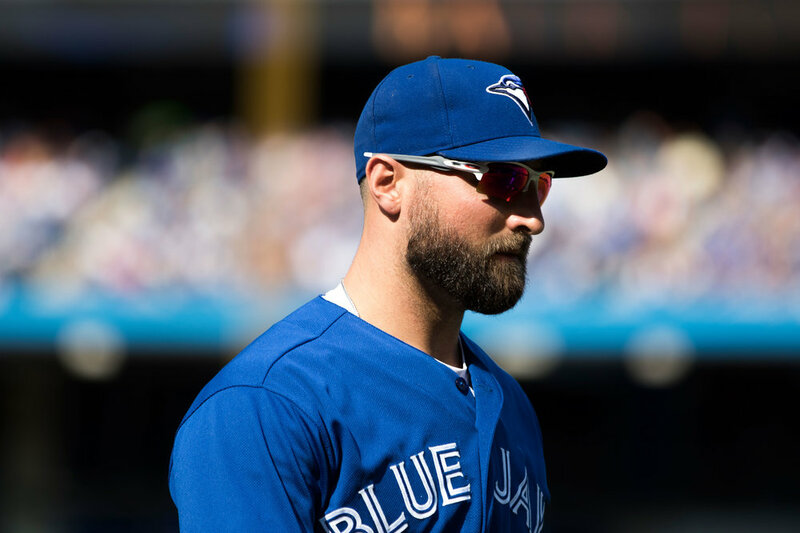 These young Jays made a mark, although August was so promising that even Tulo made an appearance in the dugout, and news came north that Donaldson was sent to rehab in Florida, positioning the team for a trade, or maybe not. 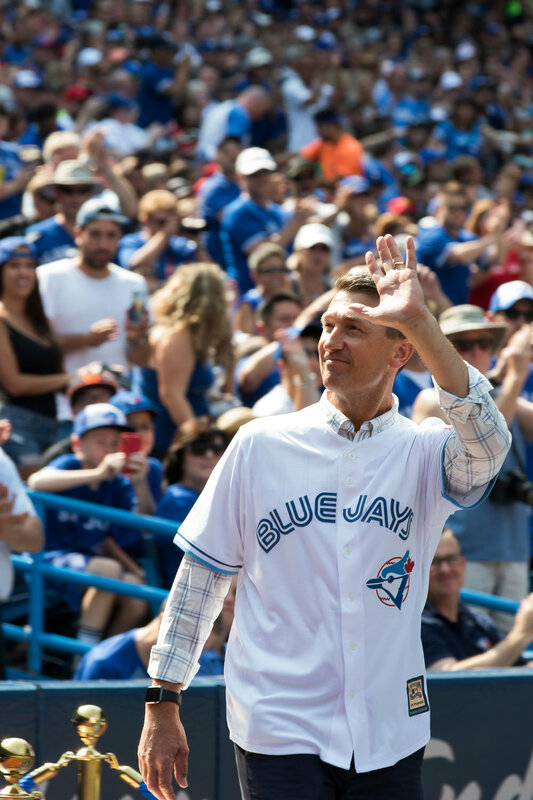 No matter what happens to holdovers from past stretch runs, old, it seems, is giving way to young, a notion reflected in the mid-month recognition and celebration of the Jays ’92 and ’93 World Series teams, where former players gathered to ask themselves why the Hell they didn’t look anything like John Olerud, eternally youthful and even more like a Jimmy Stewart character than ever before. 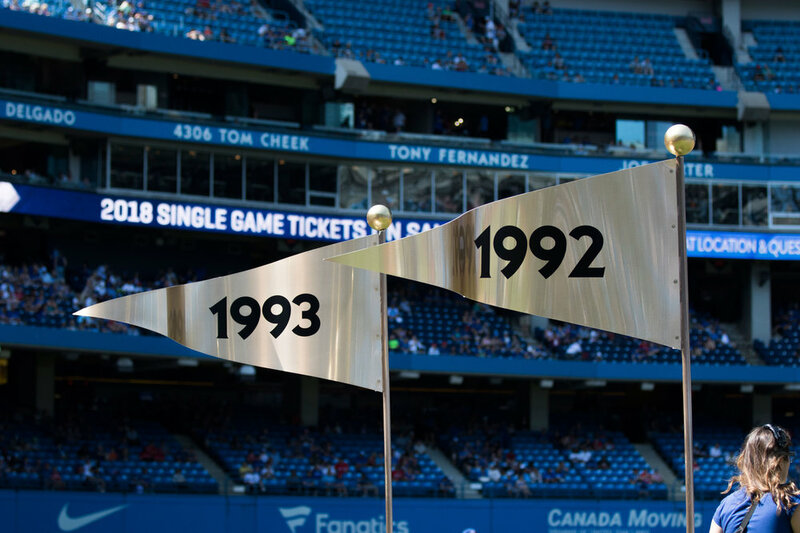 They were all there: Winfield, Pat Borders, et al. 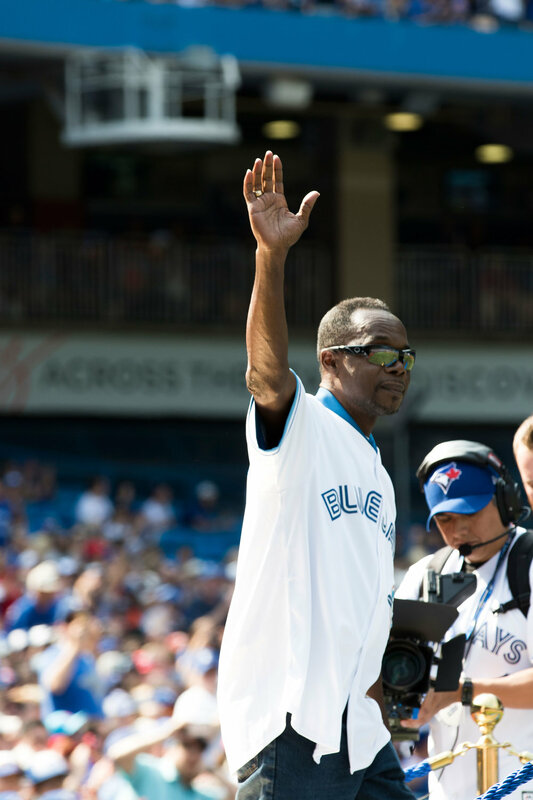 Devon White – whose number, 24, is worn in rec ball by the shooter of this series, WEP photo editor Jalani Morgan – reminded kids that a son of West Indian immigrants can grow up to play in the major leagues, a fact made even more profound as Caribana floats were about to be loosed on the streets. Right after their celebration weekend, things started to happen. The Jays won five straight games for the first time this year and the player noted for his surging season in our July dispatch, Kendrys Morales, smashed a Jays record seven home runs in seven games. It was good to see good things happen, especially with crowds that hadn’t abandoned the team despite their in-between building-to-rebuilding year. Suddenly, in a season once lost to the dogs, there was direction, rhythm, hope and possibility, which is what’s supposed to happen in a seven-month-long season. There are still more questions than answers these days, but if you’re not asking where to go, you’re not going anywhere.